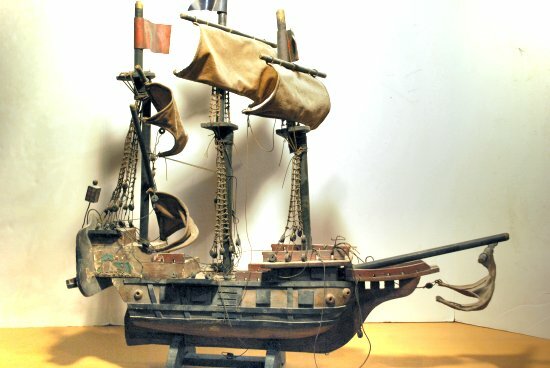 Mayflower - Model Ship Repair and Restoration. Circa 1920's Mayflower model before restoration. Her hull had separated in several locations and a large number of parts had come off. Her masts and rigging were also in need of a serious overhaul, there was lots of damage to the entire model. She had to be completely disassembled. Mayflower was an English galleon of about 90 ft in length. 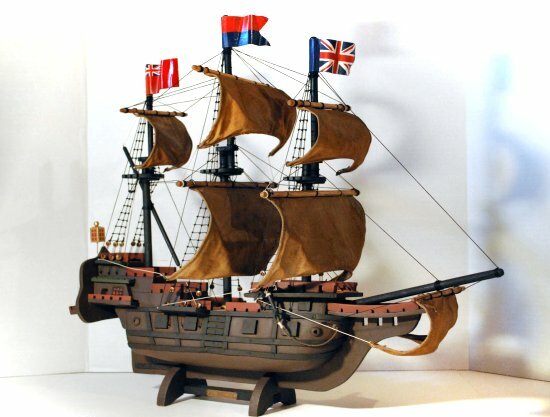 She was built in Leigh, England and launched in 1605. She became famed for carrying the Pilgrims to Plymouth Rock in 1620. 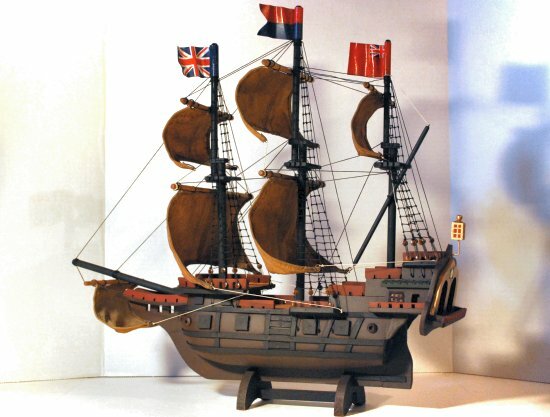 Mayflower model after having been fully repaired and restored. Some modifications were made to prevent the model from having structural problems again in the future. For instance the solid wood stern-castle was doweled to the main hull and subsequently re-decked. The masts received hardwood caps to strengthen them. The entire model was also sealed to prevent moisture from penetrating in the future. Wooden solid-block models can be sensitive to dry or humid conditions. In the images here, she has just received her large metal flags again to complete the project.